Since the dawning of the new age of virtual reality all the way back in, you know, 2014, the form has been beset by a major question: Can it revolutionize live theater? After all, VR, with its real-time urgency and lack of traditional editing, is in many ways more suited to the stage than it is to film or television. The move marks the first known VR film for a major Broadway production and signals that a reluctance among the industry’s producers to experiment with virtual reality may slowly be softening. 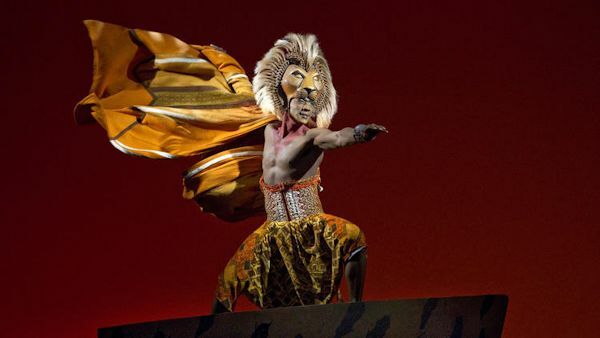 “Traditionally we have been very averse to filming what is intended to be a live experience,” Andrew Flatt, senior vice president of marketing for Disney Theatrical Productions, said in an interview. “But when we saw what was possible with VR, the reaction was unanimous. Anything that expands our reach we think is going to be beneficial for Broadway in the long run,” he said. “Circle of Life” seeks to take advantage of VR’s you-are-there appeal, offering a range of vantage points to the viewer, including one from the audience, another from the backstage wings and a third from the stage itself. The idea is to replicate a mix of spectator and participant perspectives in a way that attendance at the show or even a backstage tour cannot. To make the piece, Disney hired the film company Total Cinema 360 (the number is a reference to the industry term for more immersive filmmaking), papered the house with about 1,000 theatergoers and staged the number over the course of a day. Nearly six takes were shot, with cameras set up all around the Minskoff Theater. “It’s not easy to do live Broadway,” said Craig Gilbert, the co-founder of Total Cinema 360, which was aided in post-production by the Los Angeles-based start-up VR Playhouse. “I think the biggest challenge is coordinating with the show — you’re not just filming something but dealing with rehearsals and changing choreography and different lighting,” noting the challenge of combining existing Broadway staging with the more orchestrated requirements of a film shoot. Disney is making “Circle of Life” available for free beginning Wednesday on a range of platforms, including Samsung Gear VR (the optimal form in this instance) as well as Web and mobile, the latter of which can be enhanced into VR with the help of Google Cardboard. It hopes to use the piece as a weather balloon of sorts to see what lands both creatively and with consumers. Live concerts have long been open to VR experimentation; among the earliest live-action VR pieces are a Beck concert shot by the form’s pioneer, Chris Milk, and a Paul McCartney show made by the Hollywood-backed start-up Jaunt. Other theatrical entities have also dipped in a toe — Cirque de Soleil has created a VR film, “Inside the Box of Kurios,” in which the French Canadian filmmaking duo known as Felix & Paul immerse viewers in a star Cirque attraction. Broadway, however, has been slower to adapt, choosing to concentrate its efforts on its core enterprise of live stage performances. While the “Circle of Life” short is certainly not going to stop anyone from coming to the theater — it is a promotional tool through-and-through — it hints at a larger VR future for the American stage, paving the way for other shows to go longer and deeper. Already Andrew Lloyd Webber productions have begun toying with other media, such as with a new 360 film for the upcoming Broadway musical “School of Rock.” The possibility of making available a piece of a hit Broadway show — “Hamilton” comes to mind — as a marketing tool or even an inexpensive spinoff like an album single is a tempting proposition for producers. Broadway’s historical virtue, and obstacle, is that a theater can only hold a small handful of people at any one time, and only if they’re in New York. VR allows the product to be exported to consumers anywhere, instantly creating a possible new revenue stream for the theater industry. In a socially networked future, VR theater could even allow friends in different cities to experience a show at the same time, a la multiplayer gaming, offering the collective experience that is among theater’s most prized pleasures. Anyone who has ever tried to watch theater on a traditional TV screen knows of what he speaks. Even more admirable efforts, like Taymor’s own filming of “A Midsummer’s Night Dream,” can seem lacking. Still, if full shows in VR are ever to take hold the industry must navigate many challenges. Broadway workers are heavily governed by union rules, while producers are governed by conservatism. Charging $100 or more for a ticket will be a lot harder if a show can be experienced anytime, anywhere. Even VR optimists say that full Broadway productions, if and when they happen, would probably be available only after a show’s closure or deep into a long run; think of it as Broadway’s equivalent of the Hollywood practice of windowing. It also remains unclear how actors will respond to the form. For centuries they have functioned under the assumption that audiences can see certain areas of the stage and not others; if they know people can and will look anywhere, could it change how they go about their craft? At least some of those obstacles could also be swept away by consumer interest. VR adoption is expected to grow by leaps and bounds once a spate of dedicated headsets begins hitting the market, including the Oculus Rift in early 2016. Flatt says that Disney is keeping an eye on what’s possible without making too many assumptions.